The best alternative, Turner thinks, is his radical proposal—creating money and handing it out to entities that can spend it. He readily concedes that it wouldn’t matter much whether the newly minted money was forwarded to households in the form of bank credits, or used to finance tax cuts, or spent on building new roads and bridges. The key point is that the government would be stimulating the economy without issuing any new debt. It wouldn’t be accentuating the problem of debt overhang, or creating the conditions for yet another boom-and-bust cycle. I ask him whether he is confident that the improvement in the resilience of the banks is adequate. “It’s a fool’s game to predict that everything is going to be fine, because either it is fine, in which case nobody remembers your prediction, or something happens, and then … ” They remember your prediction, I interject. Where were you on Monday, Oct. 19, 1987? Today is the first time since 2009 that Oct. 19 has fallen on a Monday, and that has me thinking about that day. 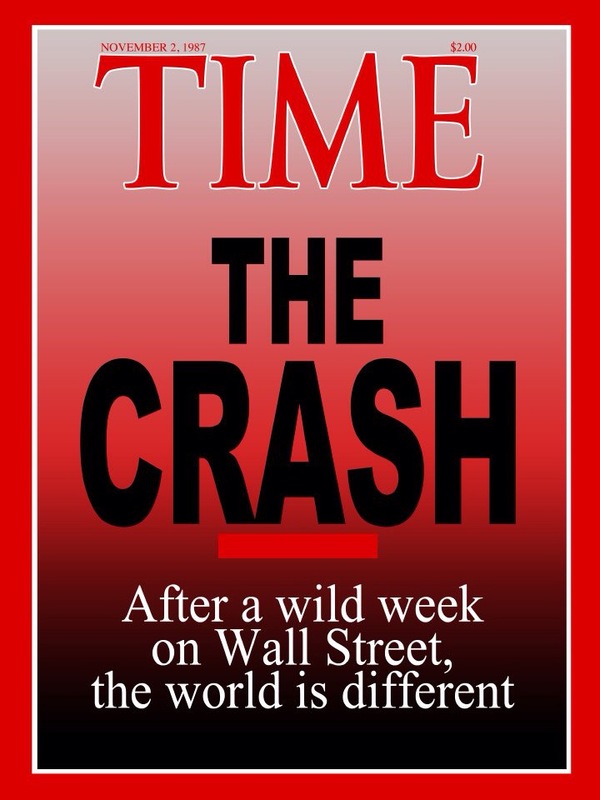 I recall exactly where I was — in graduate school, walking between classes, when I passed a television broadcasting the collapse. It all started, of course, on Wall Street. On Black Monday, October 19, 1987, the Dow Jones index, for reasons still being debated, fell 508 points, almost a quarter of its total. (The current equivalent, for comparison’s sake, would be a 3,200-point loss on one day.) The drop turned out to be a “black swan event,” a weirdly poetic economist’s term meaning, basically, a fluke (though few people remember it, the Dow still eked out a positive finish for the year). Still, the hiccup seemed to foretell the instability to come. Over the next two years, with the economy perceived to be overheating, the Fed repeatedly jacked up interest rates, which made bonds and T-bills sexier than stocks, which triggered an epidemic of unscrupulous bond peddling, which further destabilized the market—leading to a slowdown. (If that all sounds disturbingly like the recent subprime-debt mess, well, that’s because it is. But more on that later.) And a slowdown on Wall Street, which provides over 20 percent of the city’s cash income, spells a slowdown for New York. One of the oddities of globalisation is that although America’s trade footprint has shrunk, its monetary footprint has not. The Federal Reserve is the reluctant master of this system, its position cemented by the policies put in place to fight the 2007-08 financial crisis. When the Fed changes course, trillions of dollars follow it around the world. America’s indifference towards the IMF and World Bank, institutions it created to govern the system and over which it has vetoes, reflects power through neglect. 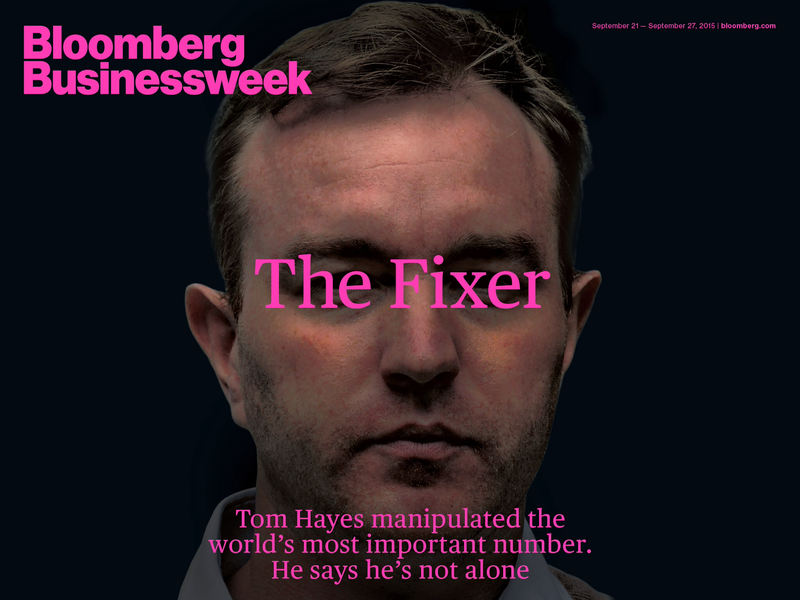 Was Tom Hayes Running The Biggest Financial Conspiracy in History ? It was an audio CD from inside Barclays. Gensler, his coterie, and members of the enforcement division gathered on scuffed-up sofas and chairs in the waiting area outside his office—the only meeting place with a working CD player—to listen. It was a telephone conversation between two Barclays middle managers that had taken place 18 months earlier, during some of the most turbulent days of the crisis. Speaking in a cut-glass English accent, one of the men told a subordinate that he needed to start lowering the bank’s Libors. When the more junior employee started to object, the first man told him the order had come from the most senior levels of the bank, who in turn were acting on instructions from the Bank of England. “Well, that’s sort of ironic that you’re firing me, given that you were involved in it up to your eyeballs,” Hayes later recalled telling McCappin. What is happening? Why is China—the country that people once thought was the engine of the world economy—tottering so badly ? To answer these questions it is necessary to recognize that China was never the engine of the world’s growth. To be such an engine you have to import more than you export. Then you would create a demand that is filled by other countries, which as a result export more than they import. Importers are the engines in the supply trains of the international markets. Exporters are the wagons, pulled by the demand created by the profligates. 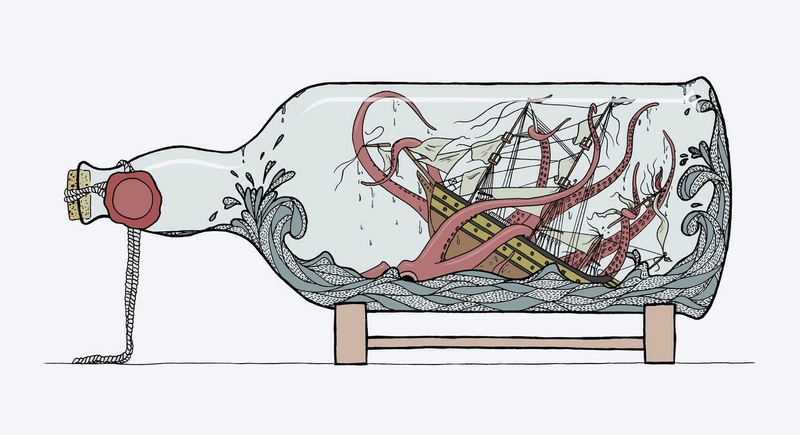 Think of what drives liquor markets: barmen or drinkers?